The dynaMENT mentoring program is a joint project of DESY and MIN faculty Universität Hamburg, supported by the two Cluster of Excellence CUI: Advanced imaging of Matter and Quantum Universe and the cooperation partners European XFEL, Heinrich Pette Institute, Leibniz Institute for Experimental Virology (HPI), Max Planck Institute for the Structure and Dynamics of Matter and UKE Hamburg. It is designed to accompany female* doctoral researchers as well as junior professors, (junior) research group leaders and postdoctoral researchers of partner institutions through an important phase of their career development. It represents a contribution to increasing the number of women in leading positions at universities and partner institutions. The program is designed for a period of 12 months (dynaMENT doctorate) or 24 month (dynaMENT advanced) and offers highly confidential one-to-one mentoring sessions, networking events, and trainings concerning professional and personal development. The events are mainly in English. The language in the workshops and between mentees and mentors can be chosen individually between German and English. The mentors are excellent researchers (professors, group leaders, senior scientists, scientific coordinators) on the Bahrenfeld Research Campus and beyond. All of them provide their support as a mentor voluntarily and additionally to their academic workload. They have international experience and are very supportive in the career development of young researchers. The matching of mentor and mentee is essential for a successful mentoring process. The basis for this are intensive interviews with mentors and mentees. I decided to become a mentor in the program in order to support and encourage mentees for the career path in science and research, even if it will become an unusual way. Discussions help widening the views on potentials and development perspectives for women (and mothers) in science. I decided to become a mentor in order to encourage young women to continue a scientific career, and to support them in all kinds of questions which arise during their PhD and post-doc time. I also offer them an example for combining scientific career and parenthood, since this question continues to be highly relevant for many female scientists. In the discussions with my mentee, I enjoy the insight into other branches of physics as well as into the concerns of the next generation of scientists. The basic concept of the Mentoring Program for Women in Natural Sciences, a joint venture of CUI, DESY, MIN Faculty Universität Hamburg, PIER Helmholtz Graduate School, SFB 676 and SFB 925, was established in 2014. The practical implementation of the program started in January 2015. In order to ensure a high standard of quality in developing the concept as well as methods and instruments, the project coordinators worked closely with Universität Hamburgʼs Center for Expert Mentoring during the pilot phase. In 2017 an internal project coordination was established, and the Max Planck Institute for the Structure and Dynamics of Matter has been signed up as a new partner. Moreover, the name dynaMENT was found for the program. 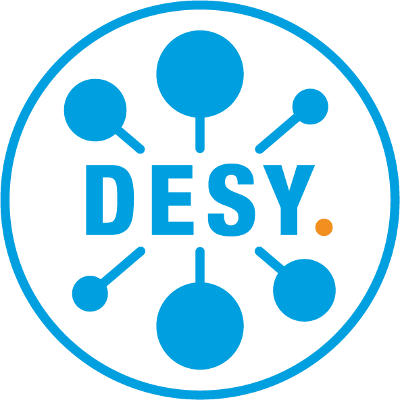 Since 2019 the program is mainly financed by DESY and MIN faculty Universität Hamburg supported by the two Cluster of Excellence CUI: Advanced imaging of Matter and Quantum Universe and the cooperation partners European XFEL, Heinrich Pette Institute, Leibniz Institute for Experimental Virology (HPI), Max Planck Institute for the Structure and Dynamics of Matter and UKE Hamburg.